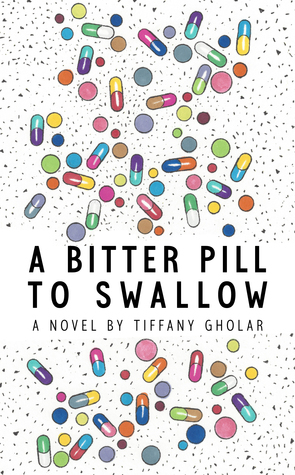 Disclaimer: I reviewed this book on behalf of Tiffany Gholar, the author. I received a paperback copy in return for an honest review. The plot…is solid, definite and perfect for the book. Although there is not much action, there is definitely enough plot-twists to keep it interesting! The characters…were really interesting. I loved Janina, one of the main characters, and I felt I could relate to her in some ways. I found it absolutely outstanding that Gholar has so much skill to make so many characters understandable to the reader. The writing…is really good, and not just that, but clever. The thing I found the most amazing is the change in writing with each character. This book has several POV & is written is several tenses, and this book is possibly the first I’ve read that not only writes that extremely well, but celebrates it. Something I liked…is the plot-twist with Janina. I will say no more, people! You better read this book to find out! I found it not only really interesting, but perfect for the plot. Something I disliked…I don’t know…I’m trying to be find something to critisize, but I don’t think I can’t! And I’m not even just saying that! Honestly, I felt like I could really relate to this book, and because of that I really enjoyed it. I also really appreciated the writing and the research that must have gone in to making this novel what it is. If you have suffered any sort of mental illness, diagnosed or not, or know someone that has, I really believe you should read this book. Because it’s not just a book – it’s a life lesson.